This time of year we crave a good belly warming soup — and homemade soup is even better if you let it simmer away in the slow cooker while you’re out skiing or playing in the snow. The feeling of coming how to a warm crock of soup is one of the best parts of winter. 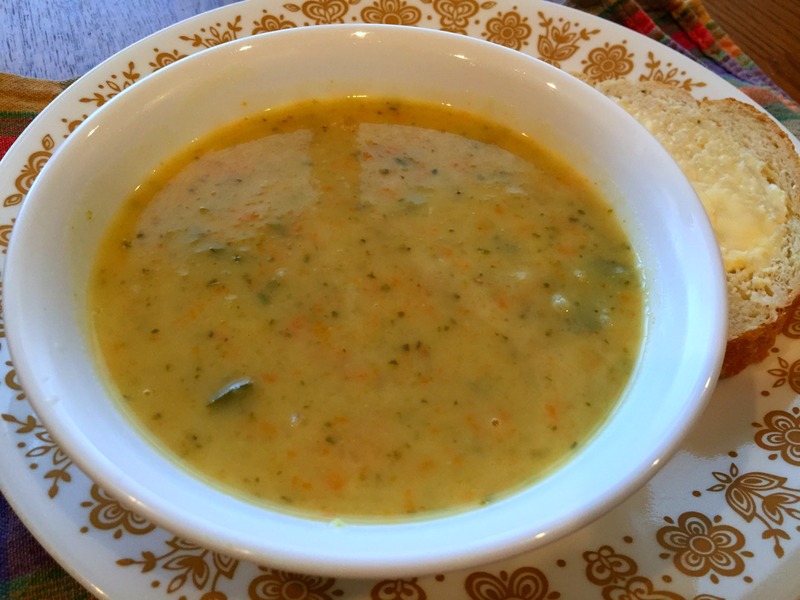 This recipe for Dill Pickle Soup is from our 2016 book The Family Slow Cooker. While the flavour may seem odd (yes, you do put the pickle brine right in the soup! ), it’s actually surprisingly hearty and delicious. Give it a try — you can adjust the amount of brine you use to your own tastes, but we think the more brine the better! Combine potatoes, celery, leek, carrot, pickles and stock in a 4- to 6-quart slow cooker. Cover and cook on low for 6 to 8 hours or until vegetables are soft. Puree right in the slow cooker with an immersion blender until the soup is as smooth or chunky as you like (we like it somewhere in the middle!). Stir in cream and reserved brine to taste. Serve hot. Tip: If you don't have an immersion blender, transfer the soup in batches to an upright blender and carefully puree until smooth, or puree just a portion of the soup for a slightly chunky texture.